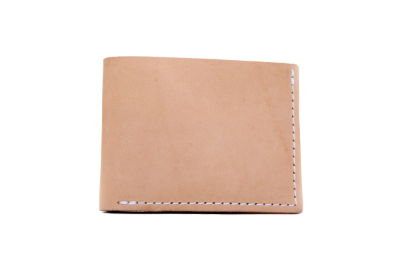 Two pocket card case made from 4oz full grain natural veg tan. Super slim profile. Pockets hold plenty of cards plus folded cash.